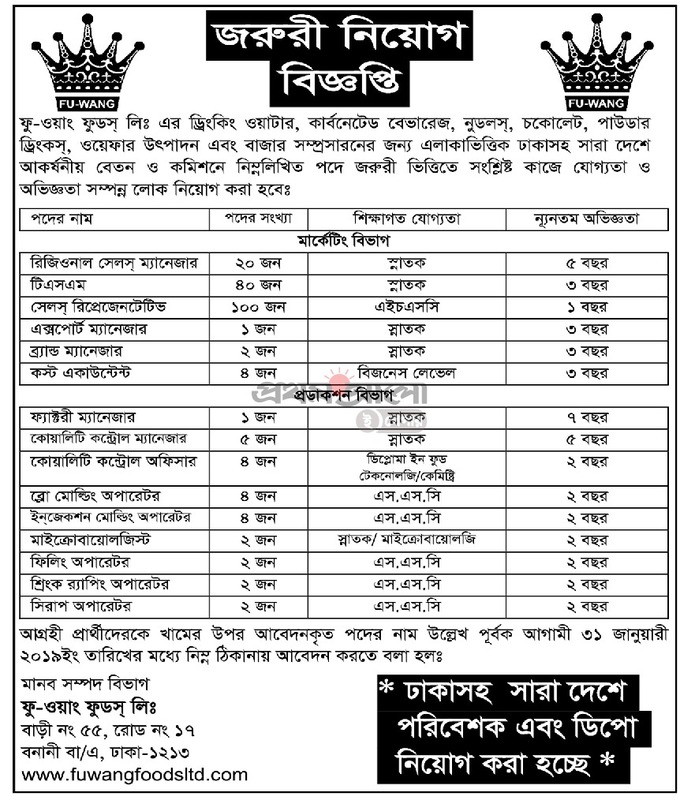 Fu-Wang Foods LTD published New job vacancy Notice at Daily Newspaper Prothom-alo. Fu-Wang Foods LTD offer total 193 New vacancy in this post.Eight,SSC,HSC And Graduate Student also apply this Fu-Wang Foods LTD Company Job circular 2019. If You want to apply Fu Wang Foods LTD Company job circular you have to sent your hard copy mention the address we post on circular . For Next Updates about Fu-Wang Foods LTD Job circular Vacancy Notice stay with us. This entry was posted in bd jobs today, Company Jobs, Marketing Jobs by ejobscircular. Bookmark the permalink.